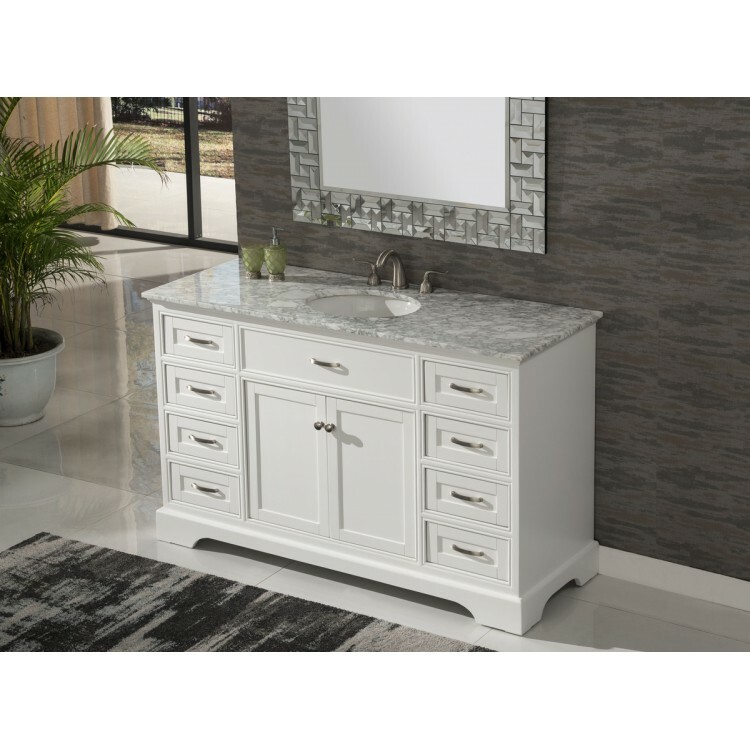 Home » Vanities to the Floor » 50" to 79" » Vanity 2422-56 WK 56"
Product Code: 2422-56 WK 56"
Contemporary style single sink vanity with white color Italian Carrara marble countertop, oval white color porcelain sink, and pure white color wooden cabinet with eight drawers and one double doors including an internal wooden shelf. Cabinet features soft close doors and drawers. Faucet not included.